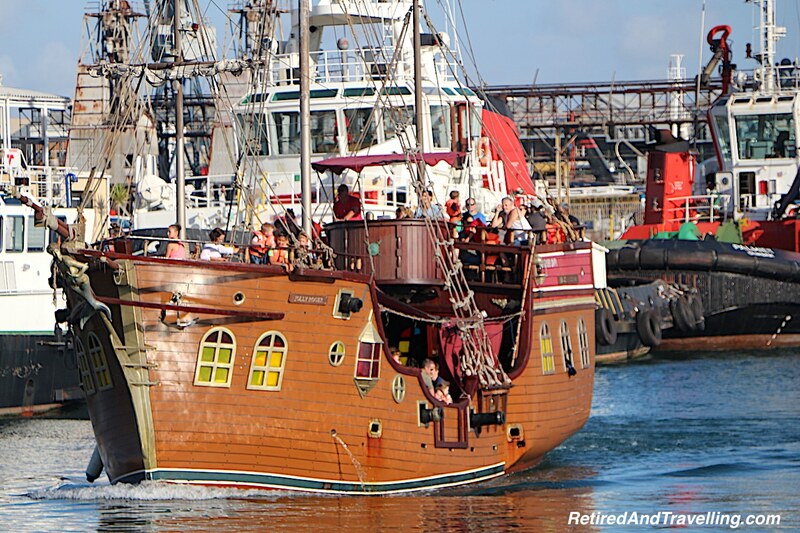 Cape Town would wrap up our awesome 51 day cruise. 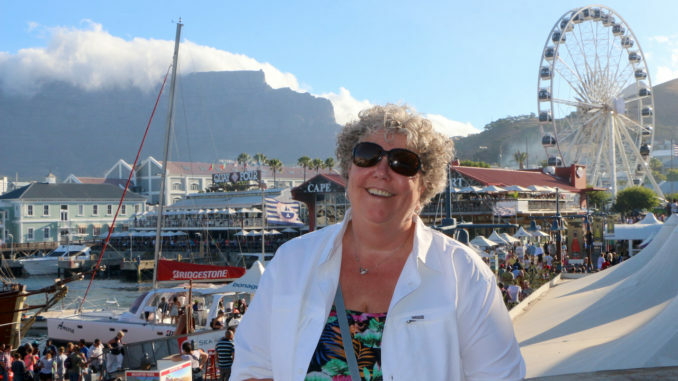 We spent 10 days in Cape Town over the Christmas holidays. We worried that things may be closed over the holiday season but in fact we found most places open. 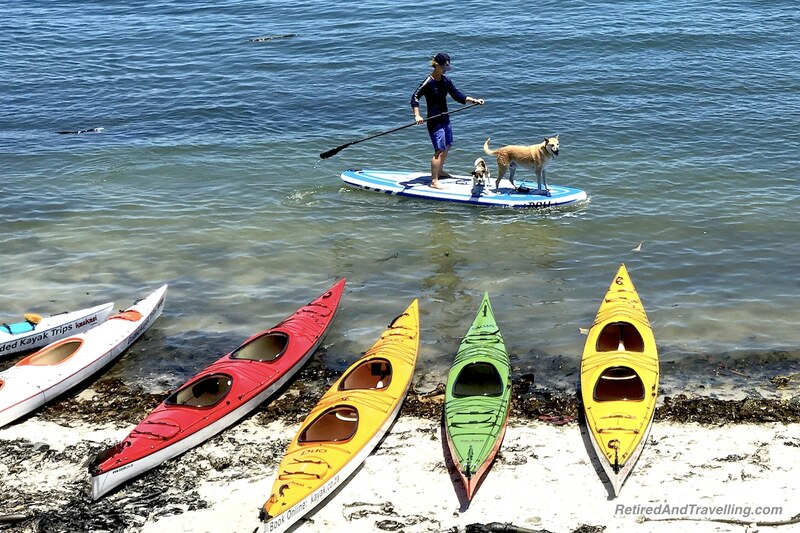 Many locals took a long holiday break and they too were out enjoying the things to do in Cape Town! We had a busy 10 days but left this great city wanting to return. 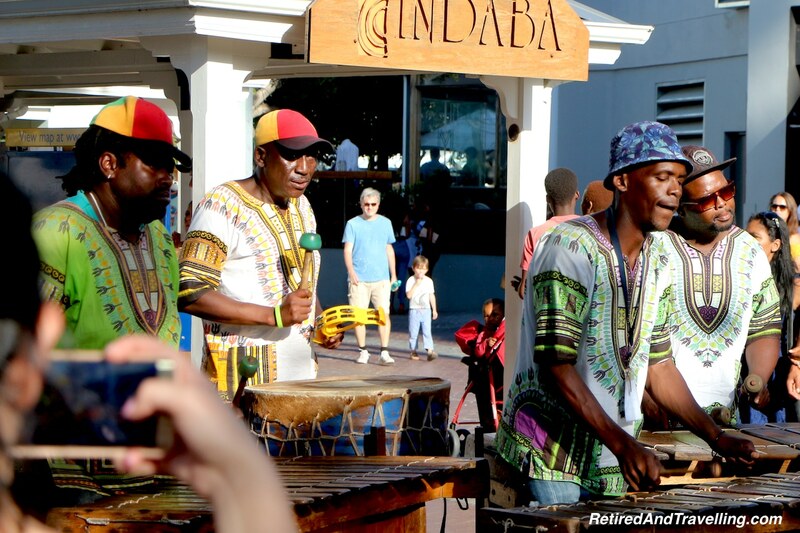 Here are some things to entice you to visit Cape Town! Hop-on-hop-off (HoHo) buses have been a hit or miss proposition for us in many cities we have visited. 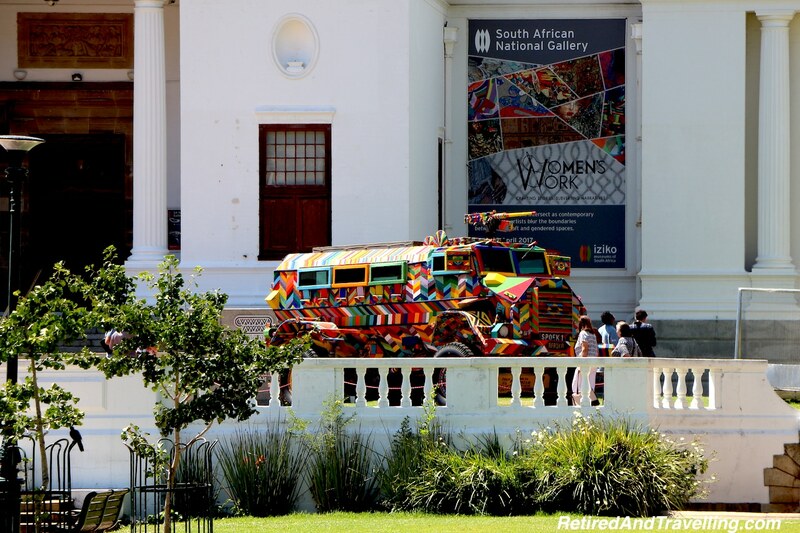 The HoHo bus was one of the best things to do in Cape Town. 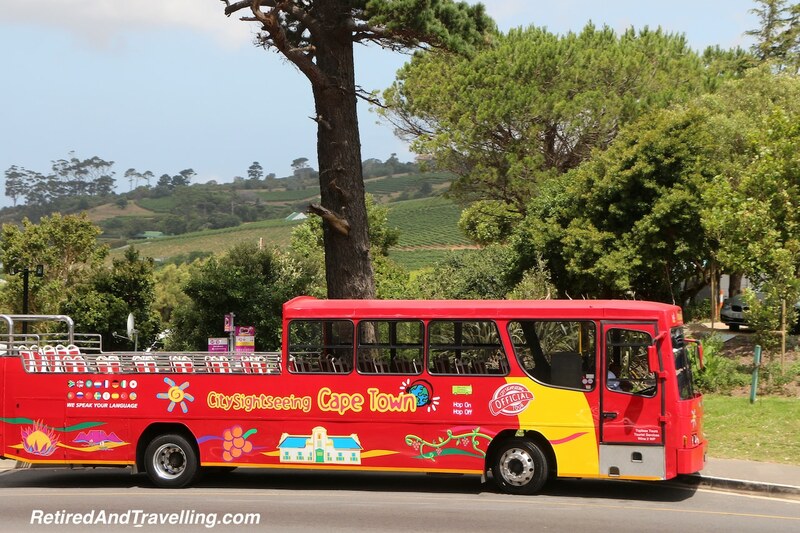 Different routes take you far afield to see all the sites of Cape Town. We found the commentary interesting, the equipment always worked and the buses had friendly staff to help. We got a 2-day pass and found it to be great value. The 5 day pass includes entry to a number of attractions. 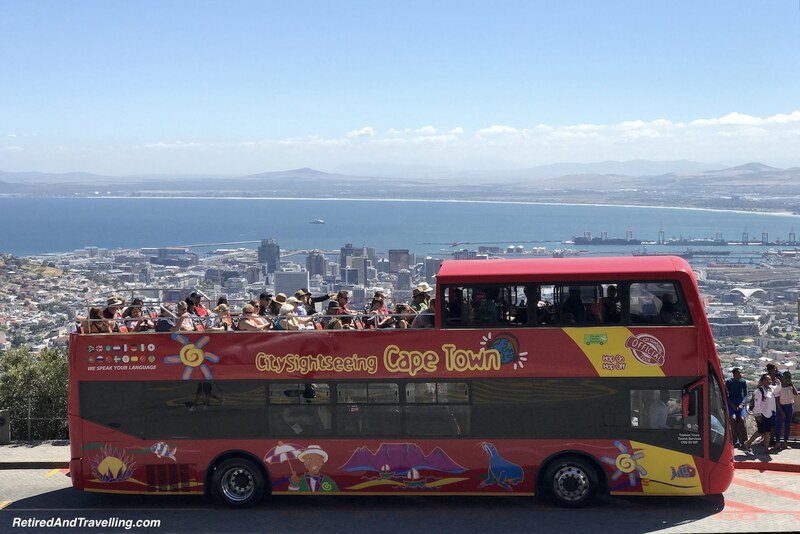 As you ride the bus, you will get a great view of the city sights and the awesome sea and mountains that surround Cape Town. The HoHo ticket includes 3 different lines. There is some overlap in the lines and a few points to change lines but each offers some unique destinations. 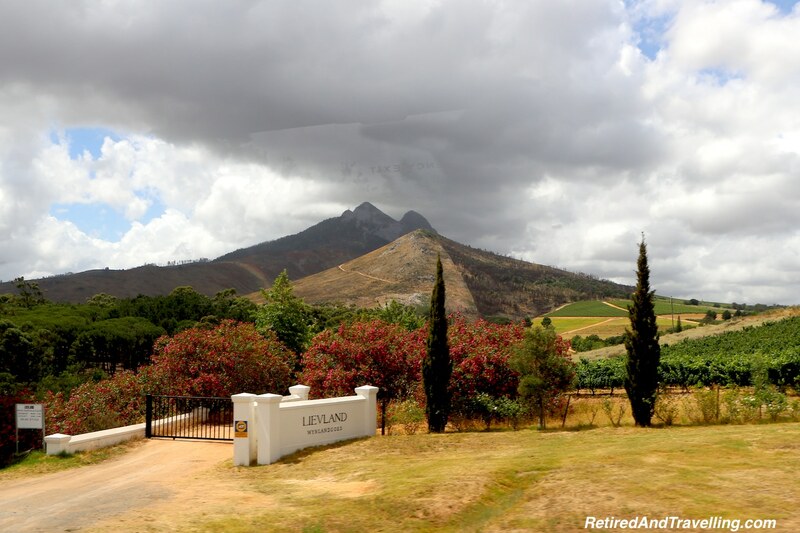 Also included is a small tour in the Constantia wine region. 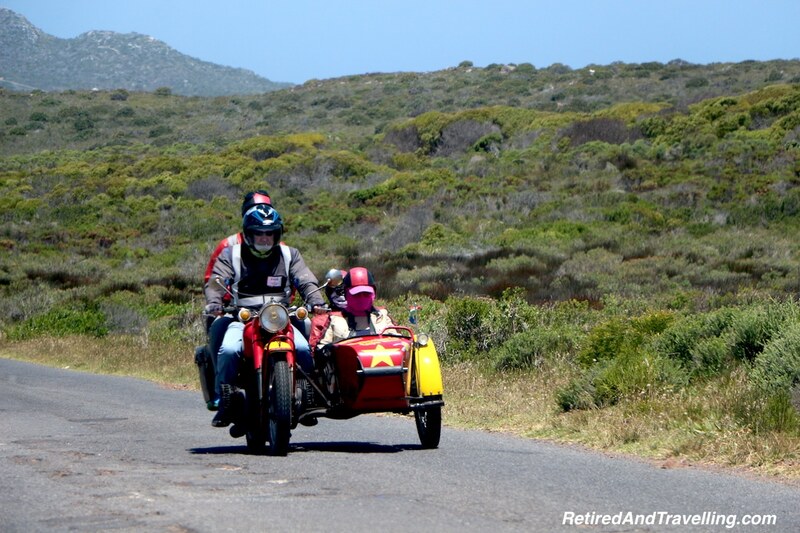 If you want something entirely different, you can even do a side-car tour. 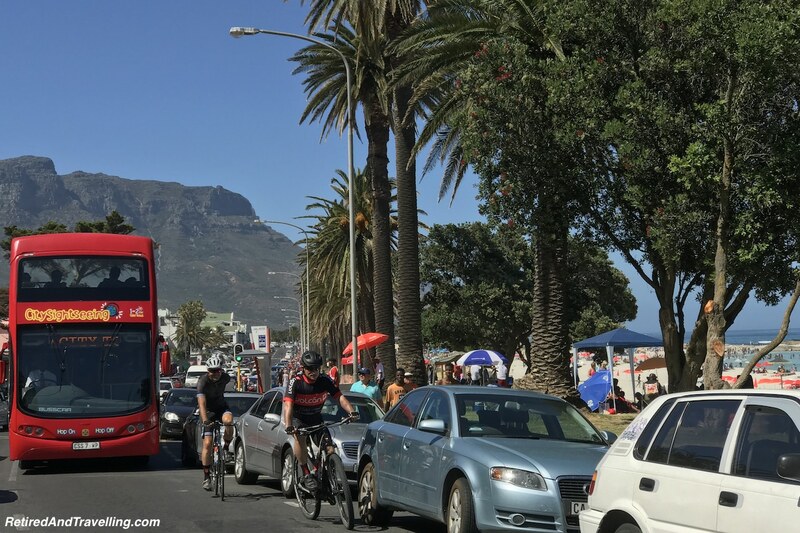 Cape Town is generally a very walkable city. Wander about and enjoy your city tour. There is a lot of history in this port town, memorialized in stone. The Company’s Garden is a relaxing refuge in the middle of downtown. Great decorative buildings and several museums ring the garden. 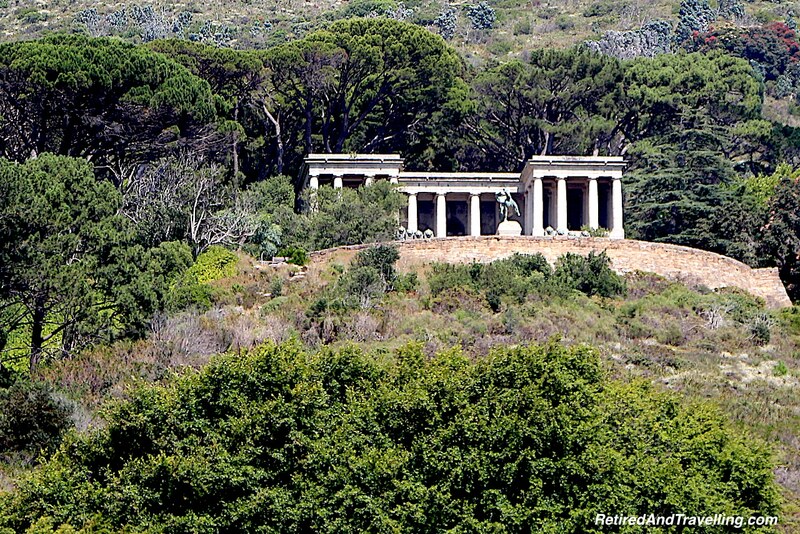 It should be on your list of things to do in Cape Town. The green space in the Company’s Garden is an oasis for relaxing. There is a restaurant if you want to stop along the way. 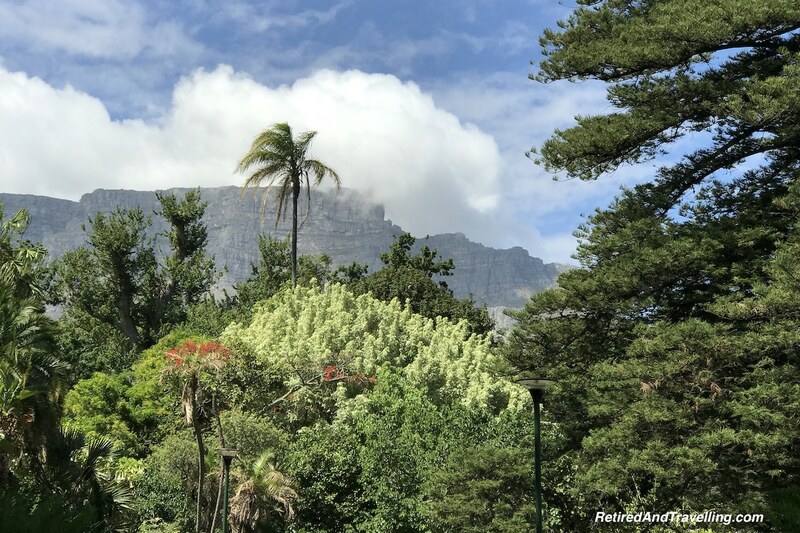 And like much of Cape Town, the towering mountain views that surround the city set off the park. 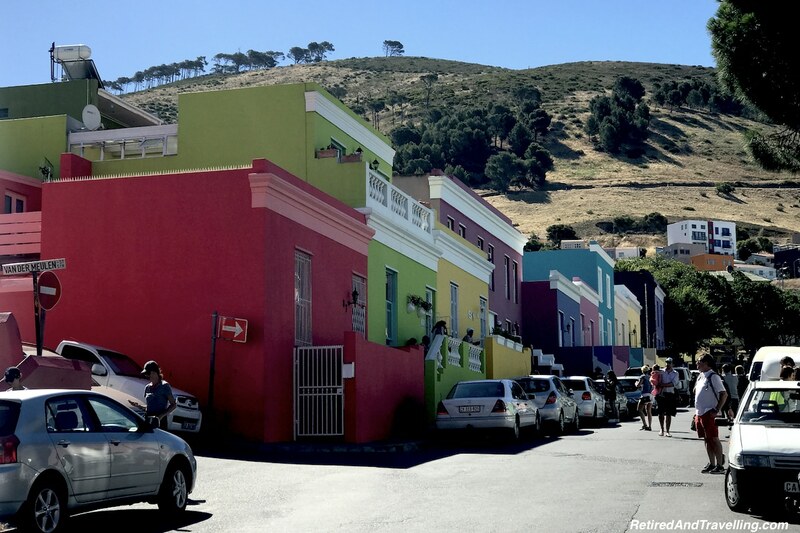 Don’t miss a walk through the colourful Bo-Kaap area of Cape Town, located at the base of Signal Hill. 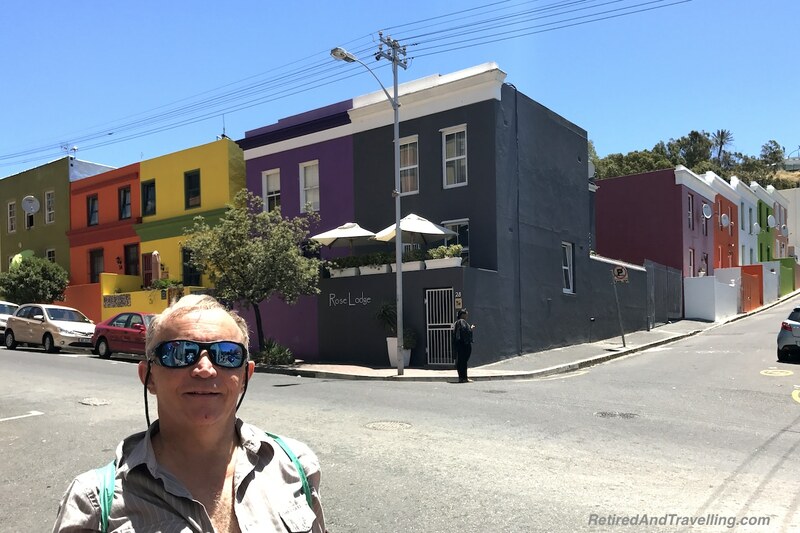 A walk up and down the hilly streets is one of the things to do in Cape Town for some great views and little local cafes. There is water on all sides of Cape Town. You can find long sand beaches for sun bathing or swimming. Private rocky coves provide privacy. Pounding surf will provide entertainment. And there is no shortage of water sports. 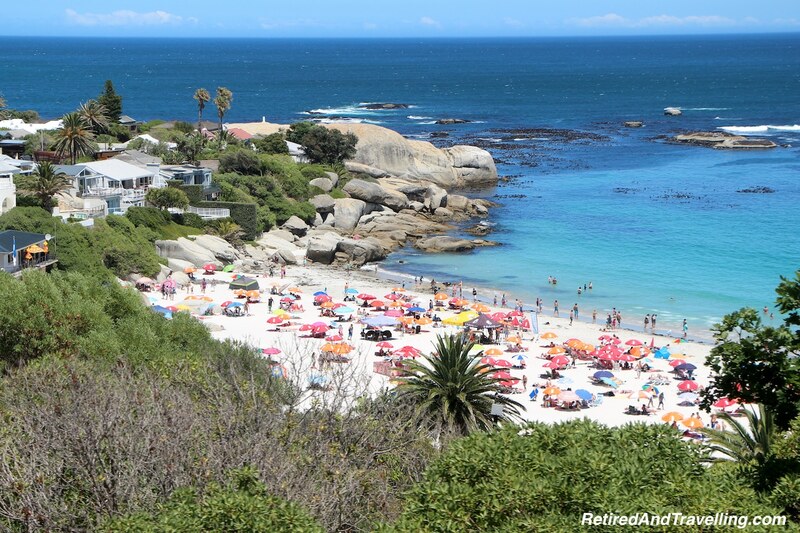 Heading to the beach is an easy one of the things to do in Cape Town! 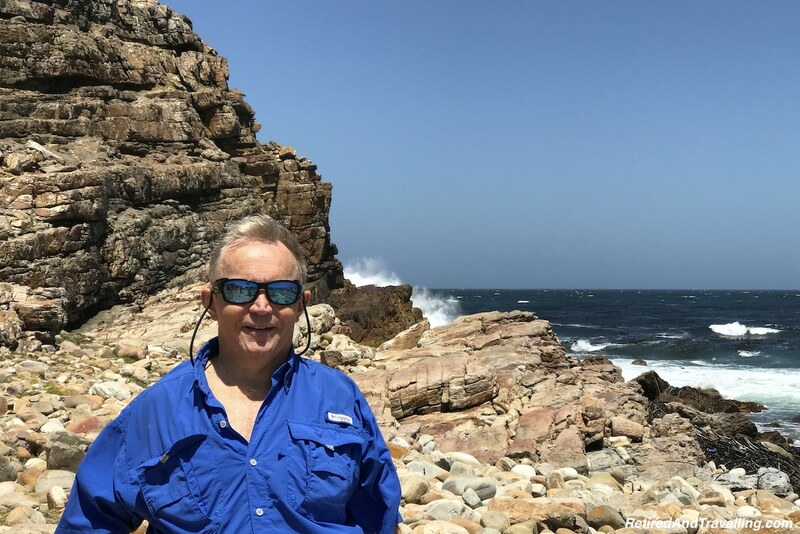 It is great to enjoy the seas that surround Cape Town! 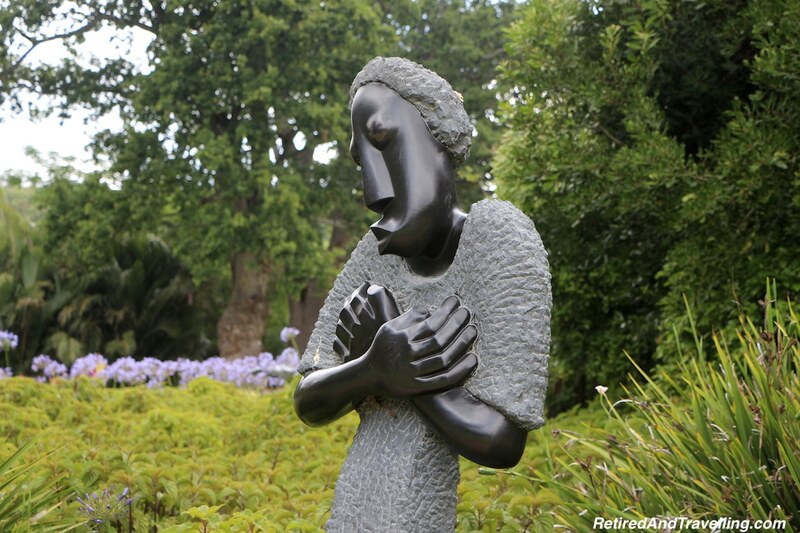 If you need a relaxing break, make sure to plan a day to visit the Kirstenbosch Gardens. 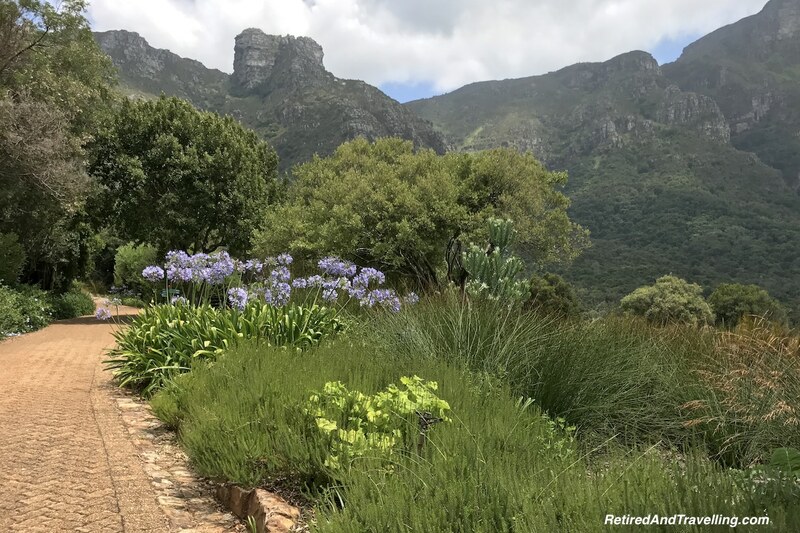 The vast gardens sit on the back side of Table Mountain. 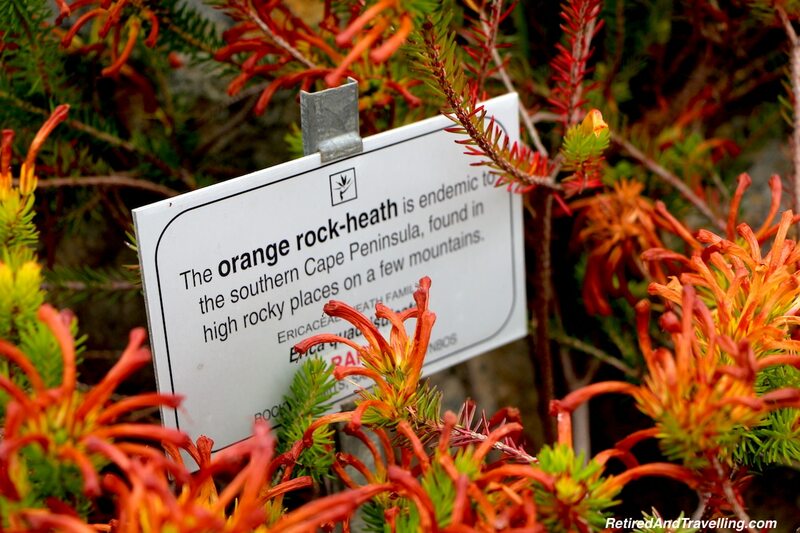 You can learn so much about the local flowers and trees as you stroll through the grounds. A statue garden provides an interesting break. 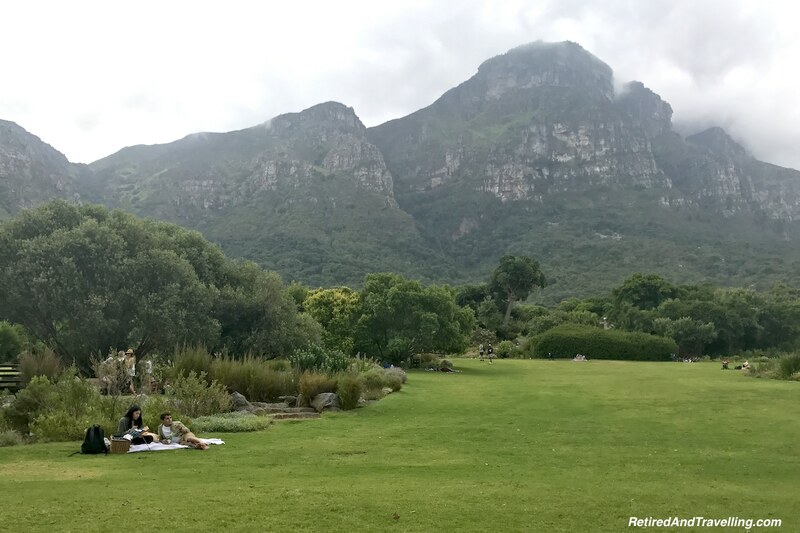 Bring a picnic and enjoy the views at Kirstenbosch Gardens if you want a little down time in your things to do in Cape Town. 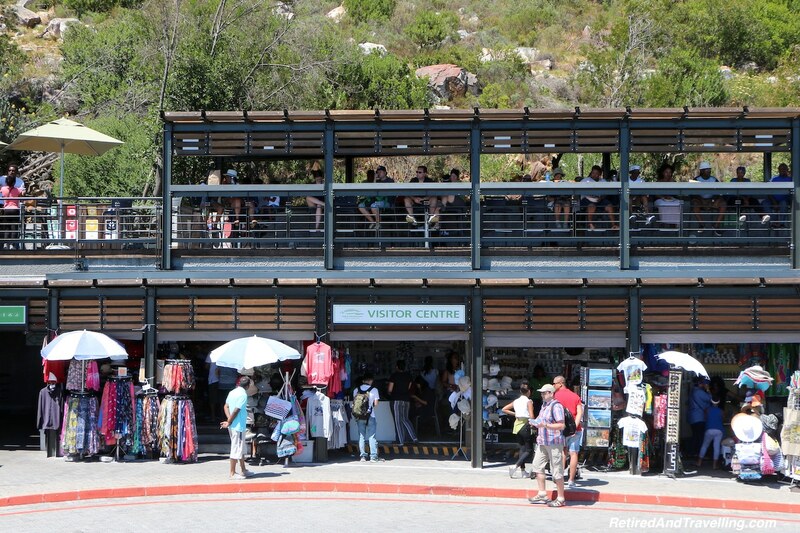 You can get up to the cable car station on Table Mountain by Hop-On-Hop Off bus or by public transit. There is a coffee shop where you can take in the views from that level. 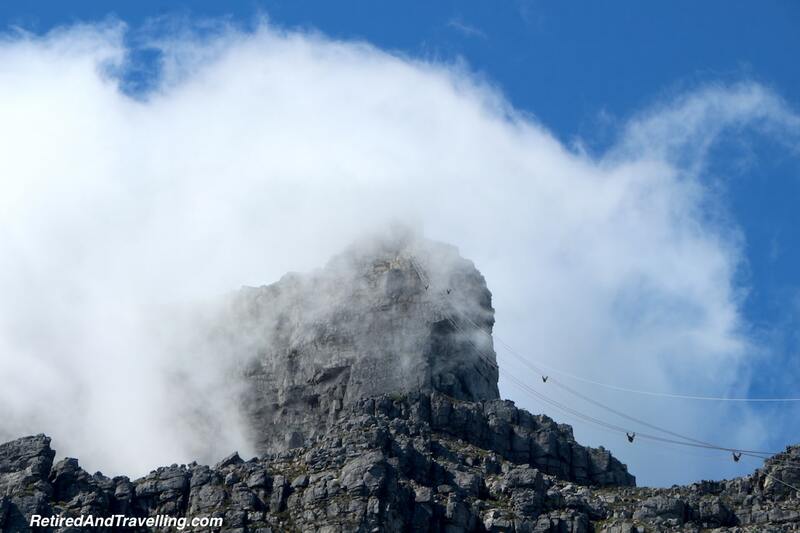 The cable car only works when the visibility at the top is good and when the winds are low. 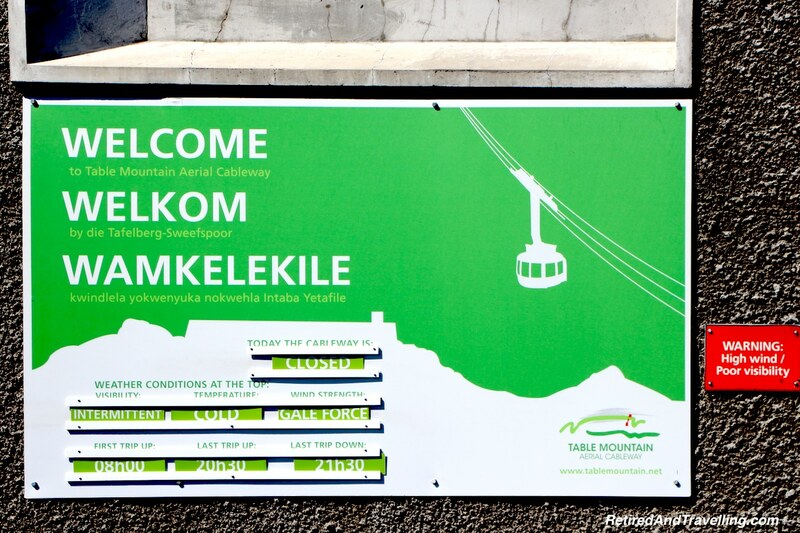 Most of the time we were in Cape Town, one or the other closed the cable cars. Walking paths will lead you up to the summit but you need to be prepared to walk down! 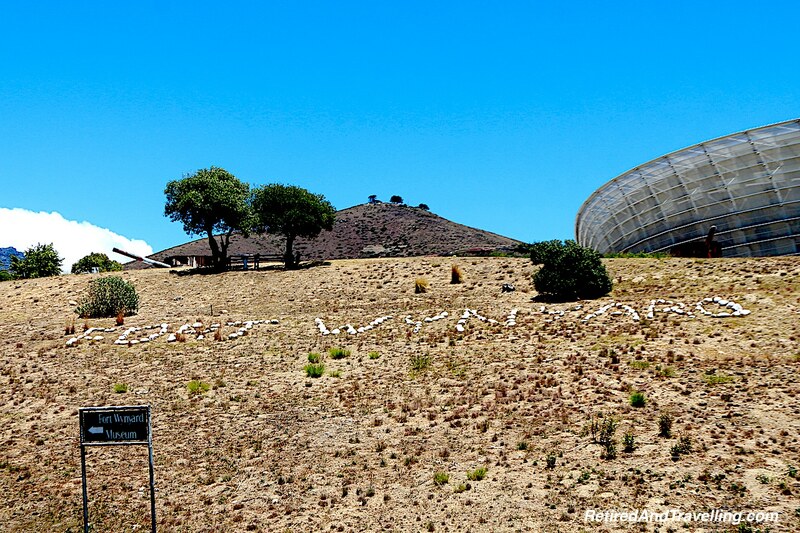 The view from high on Table Mountain is absolutely one of the things to do in Cape Town! Even if you only get as high as the cable car station! 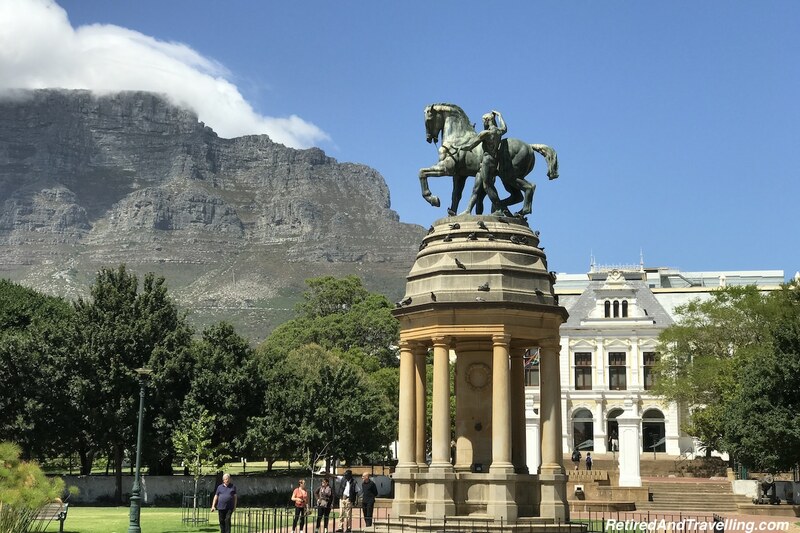 There are a lot of tourist spots for things to do in Cape Town. We didn’t hit them all on our first visit. But it was a busy 10 days! 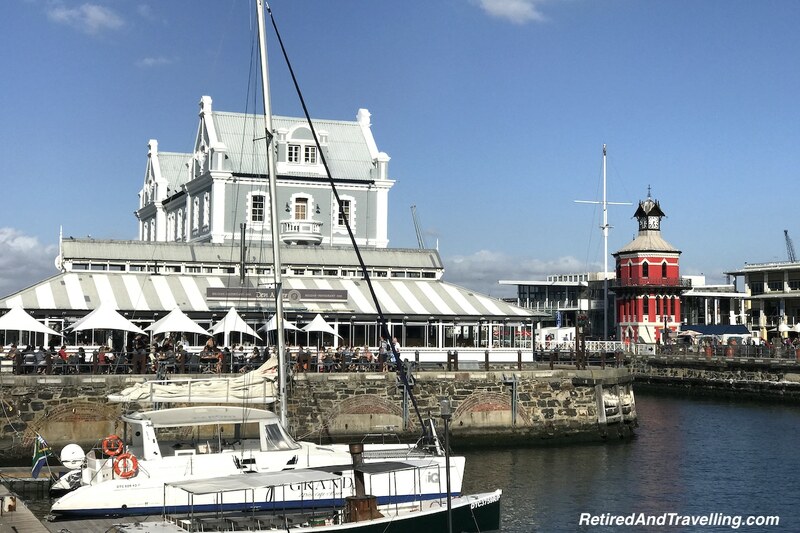 Don’t miss a trip down to the Victoria and Albert Waterfront. 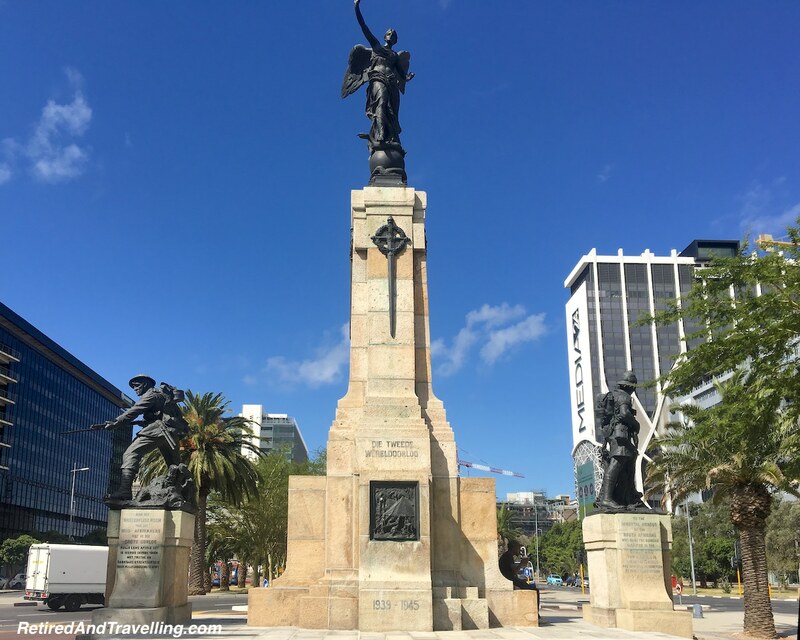 You will find great harbour views, a wide variety of food, music in the streets and retail therapy. When you are in the Victoria and Albert Waterfront, you could even take in the Aquarium. 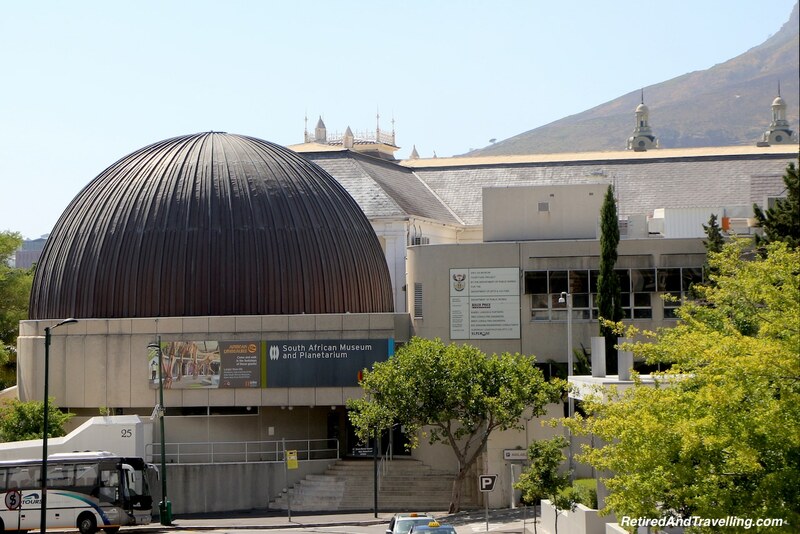 Close to the South African Museum you will find the Planetarium. I am sure the southern hemisphere sky would be awesome. 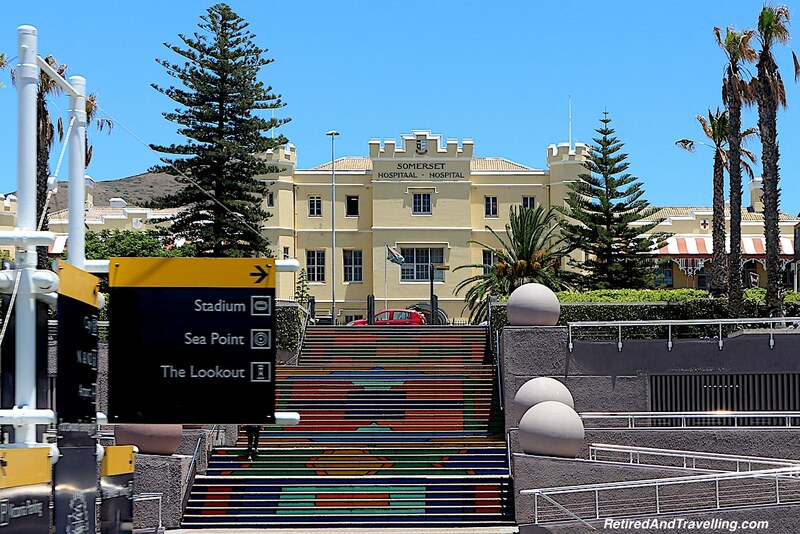 If you are a football (aka soccer) or rugby fan and the local team is in town, don’t miss a chance to visit the massive Green Point Stadium! Don’t forget to take regular breaks and just take in the city. There are good coffee shops around. 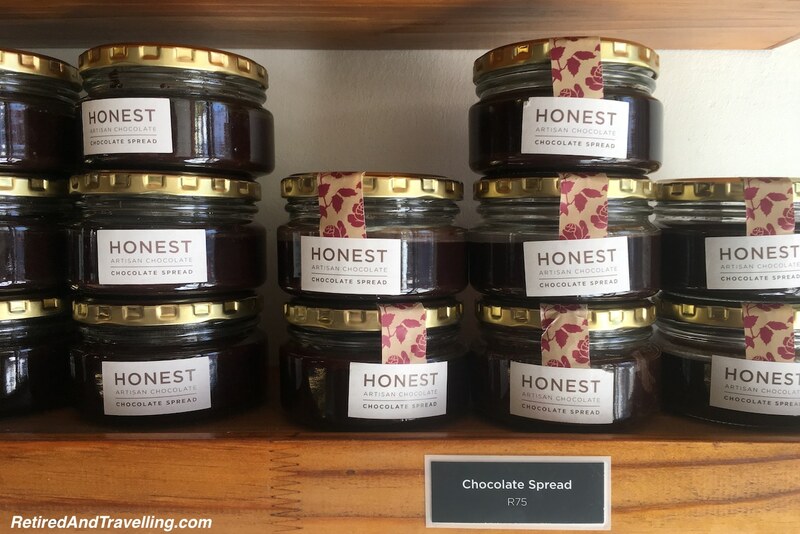 If you are a chocolate lover, don’t miss a stop at the Honest Chocolate shop. 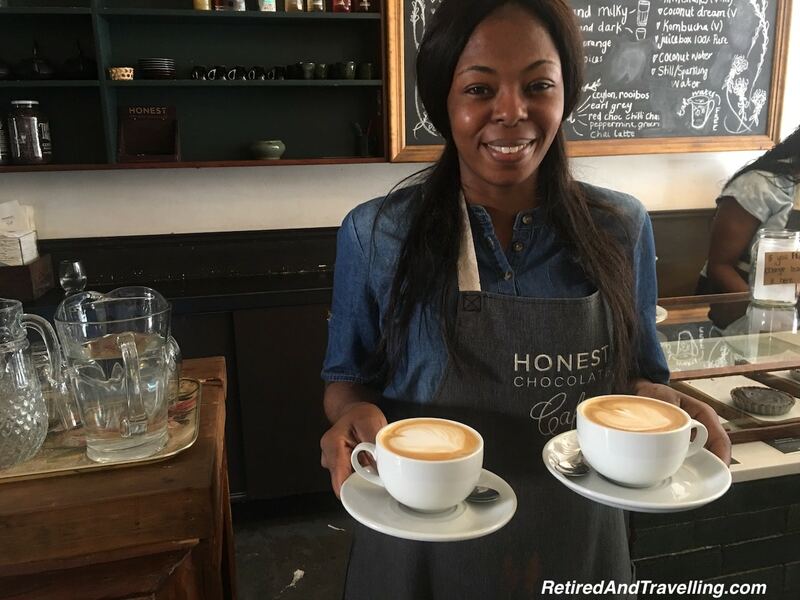 You know that was on my chocoholic’s list of things to do in Cape Town! 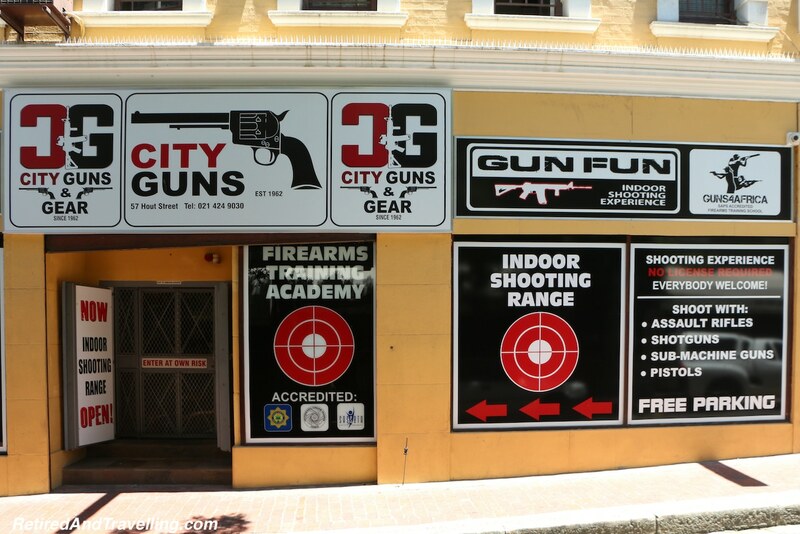 You can even notch the excitement up another level and visit the local shooting range located within the city centre. As Canadians, we are always open-mouthed when we visit countries where gun shops and shooting ranges are so prevalent. The shooting range billboards lining the desert highway when we last visited Las Vegas made us shake our heads. We can’t really imagine a need for training on machine guns or assault weapons. Even with no experience required! 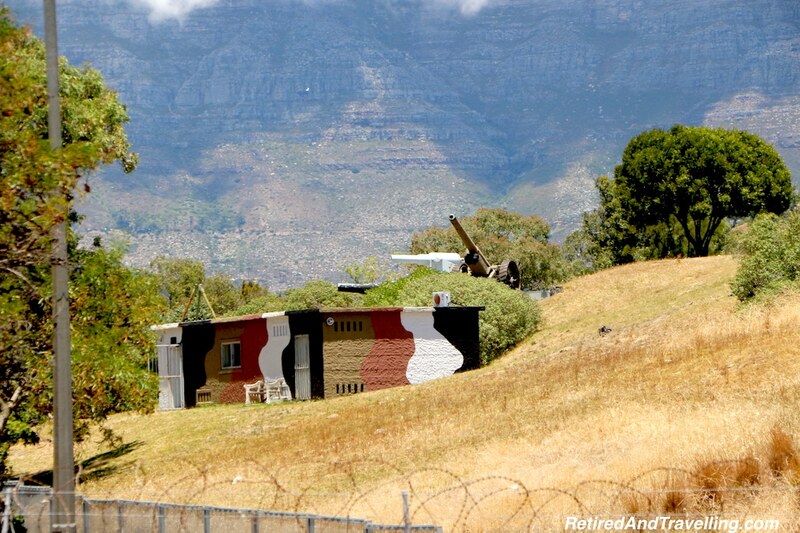 If you just want to be a spectator, you can catch the noon gun salute at Fort Wynard. 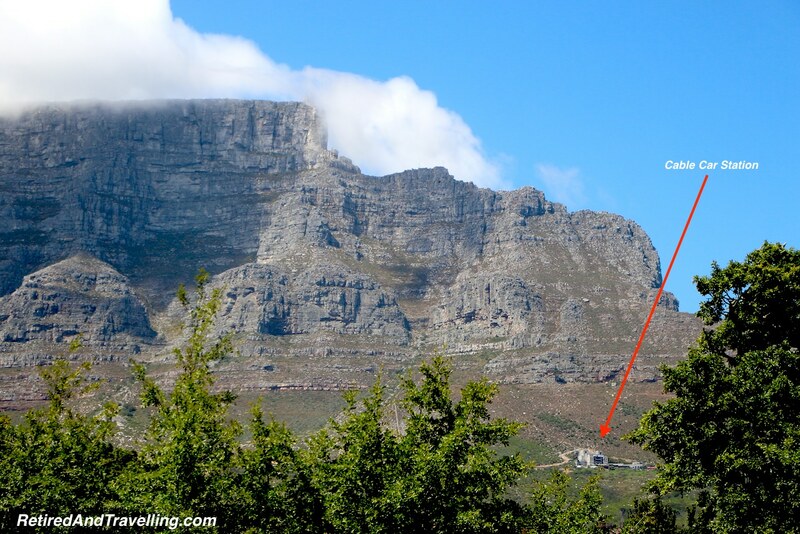 There is so many things to do in Cape Town. But there is also so much to do outside of the city. 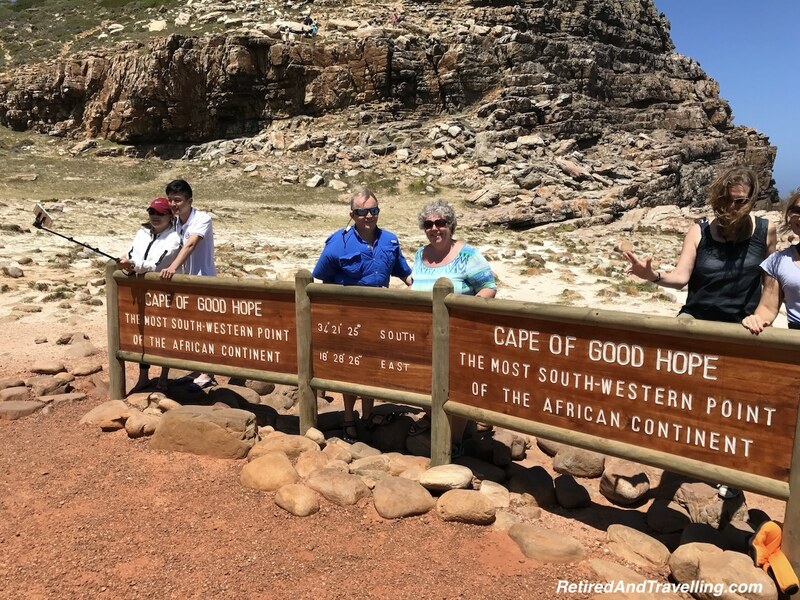 If you recall your geography and history lessons, you will know that the Cape of Good Hope is just outside of Cape Town. It is a great day trip to tour around the Cape. 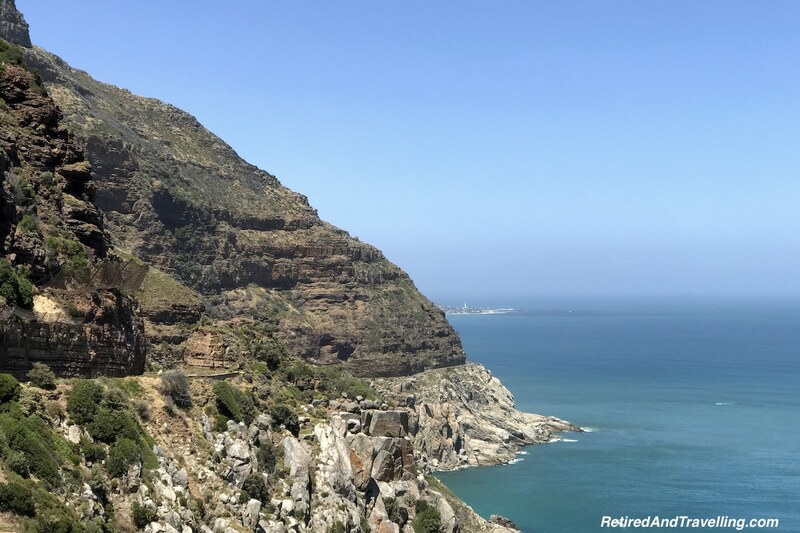 The great views as we travelled along Chapman’s Peak kept us enthralled. It reminded us so much of the trip along the Pacific Coast Highway (PCH) in California! We entered the park and headed for the Cape of Good Hope. You can visit several spots on the water including a climb up to the lighthouse. But be careful when you drive through the park. 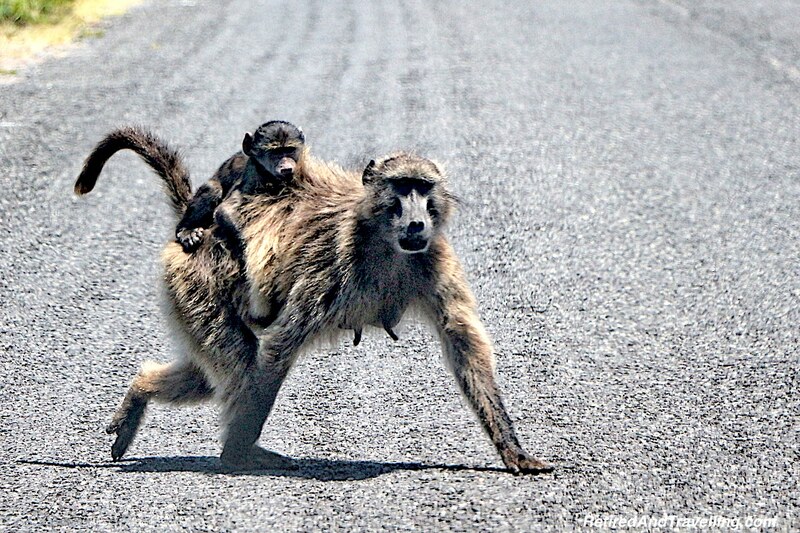 The baboons are playful and own the roads. They are not tame but are lots of fun to watch! 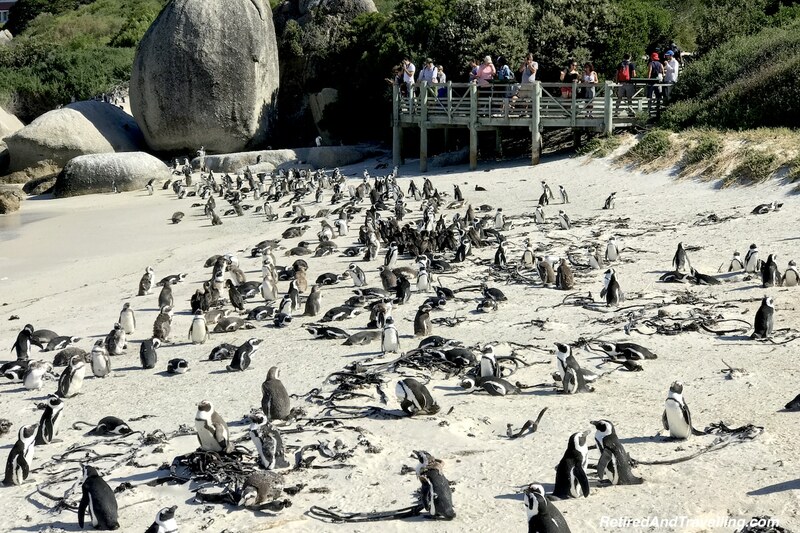 For even more animal adventures on your day trip to the Cape of Good Hope, plan to stop at Boulders Point. We were delighted to find a large colony of South African penguins! 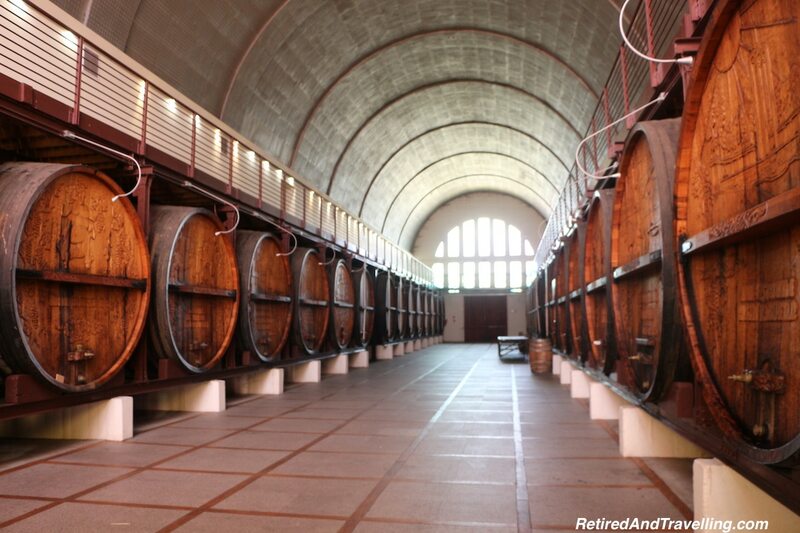 No trip to South Africa is complete without a visit to the wineries. 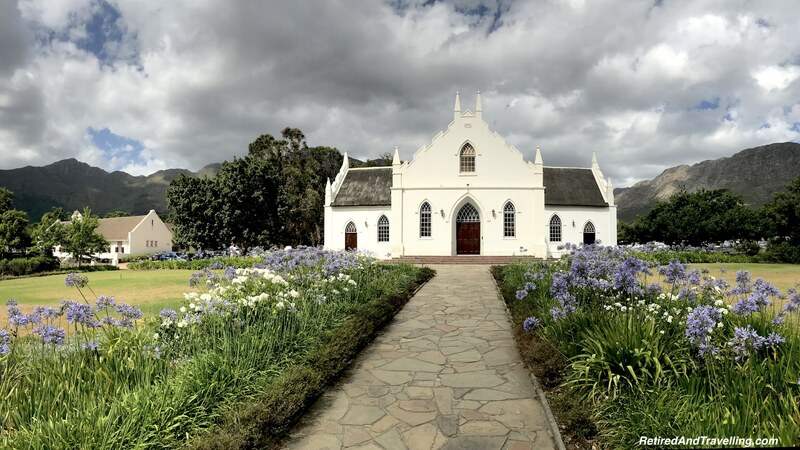 You can go to the Constantia area closer to Cape Town or plan a trip out to the Stellenbosch wine area. 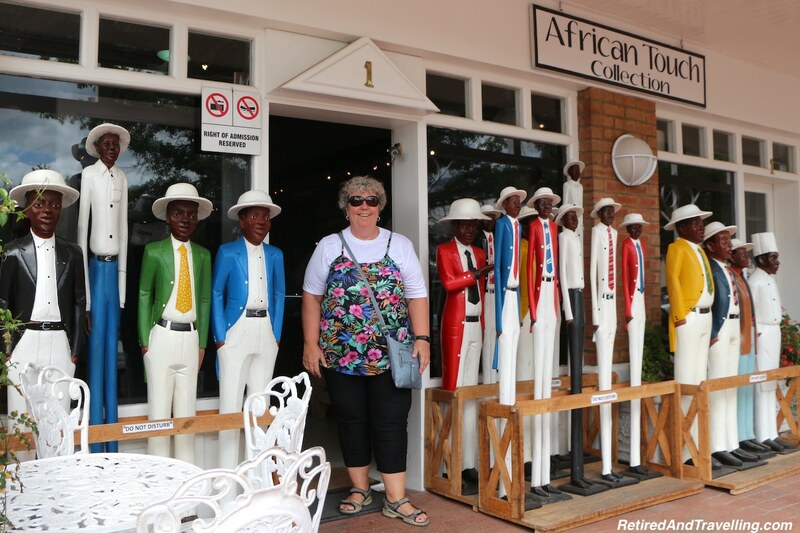 We visited the Stellenbosch area and a number of small quaint towns in the area. There are wineries everywhere! 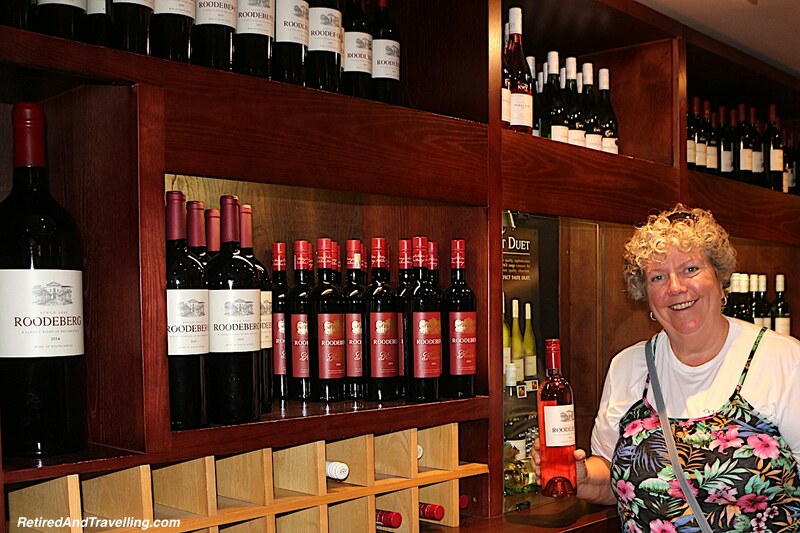 Just stop to book a tour and tasting. 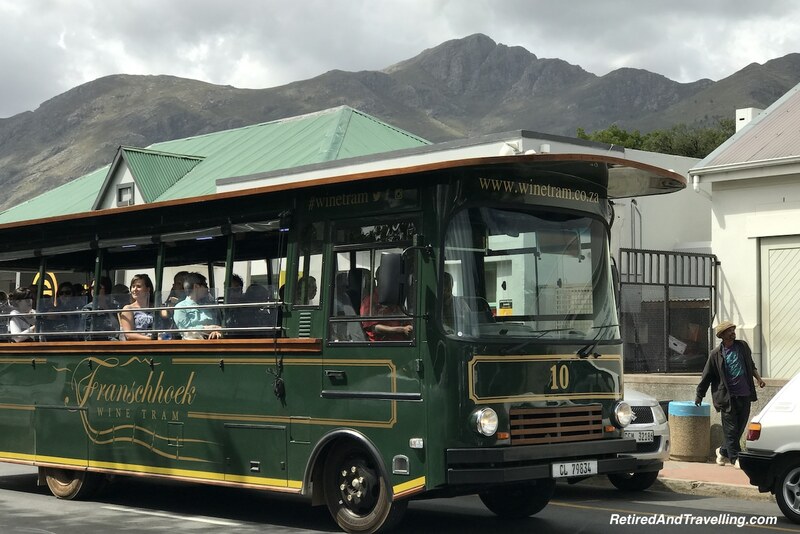 When we return to Cape Town, we will definitely plan to stay in the Stellenbosch area so that we can enjoy so many more great wineries in South Africa. 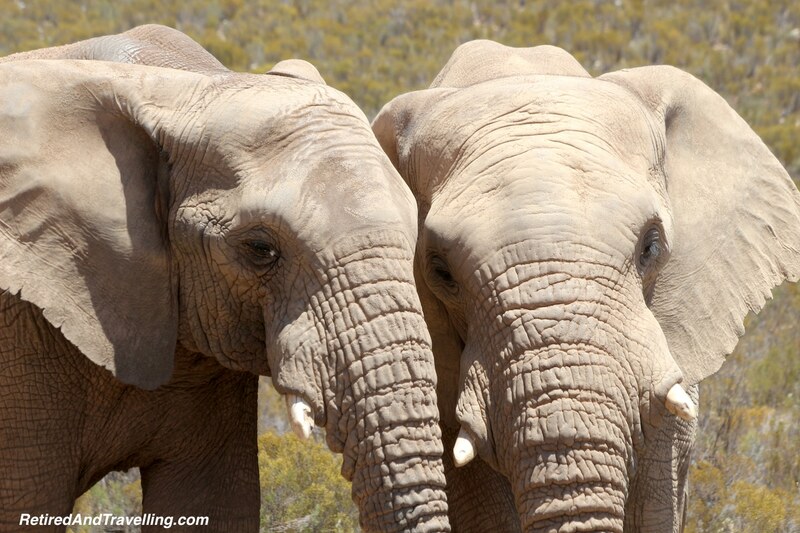 No discussion of things to do in Cape Town can be complete without talking about a game drive to see the wild animals. We headed out of town for a day trip. The trip through the mountains and out into the verdant valleys was a great way to start our day. 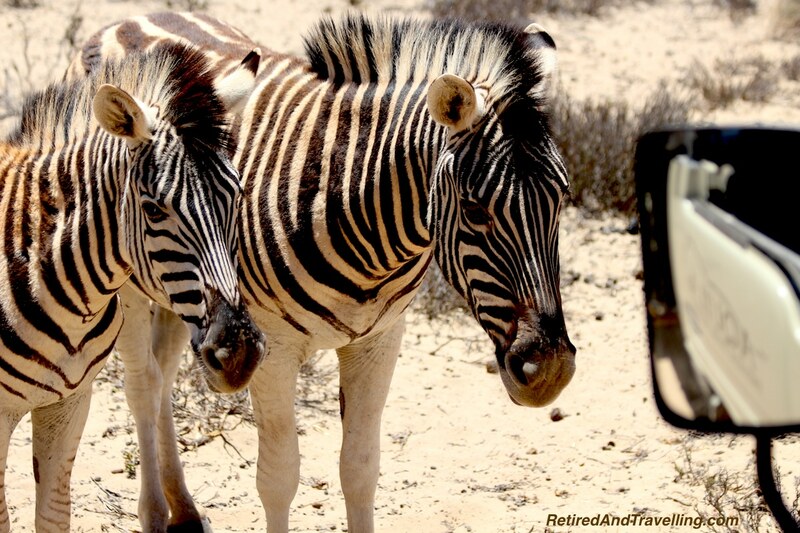 Our game drive experience was exceptional. We had a great guide and he was able to find us such a broad range of animals. While some were at a distance, patience rewarded us with several opportunities to see many of the game animals up close. 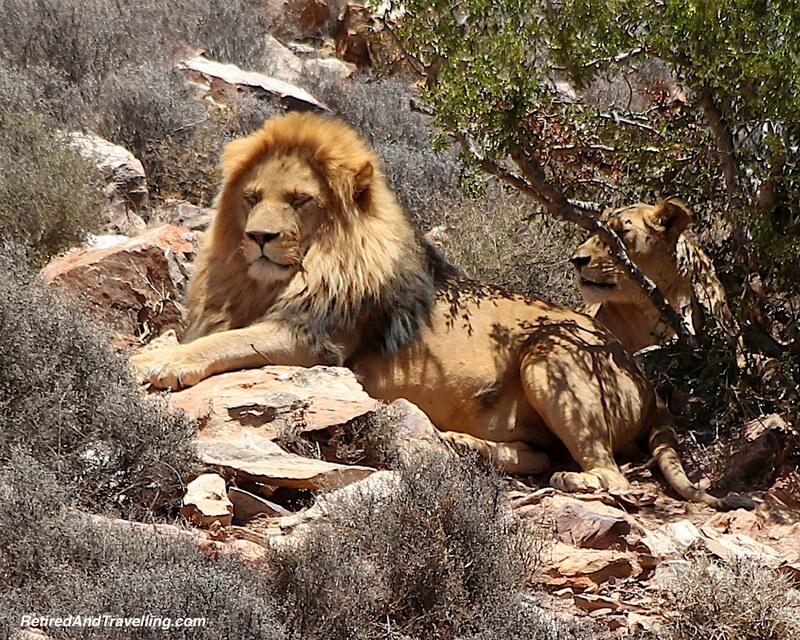 We saw 4 of the 5 “Big Five” on this trip alone! This was our third day trip game drive. We got very lucky on our first game drive in Kenya and saw a lot of animals even though it was past noon when we arrived. 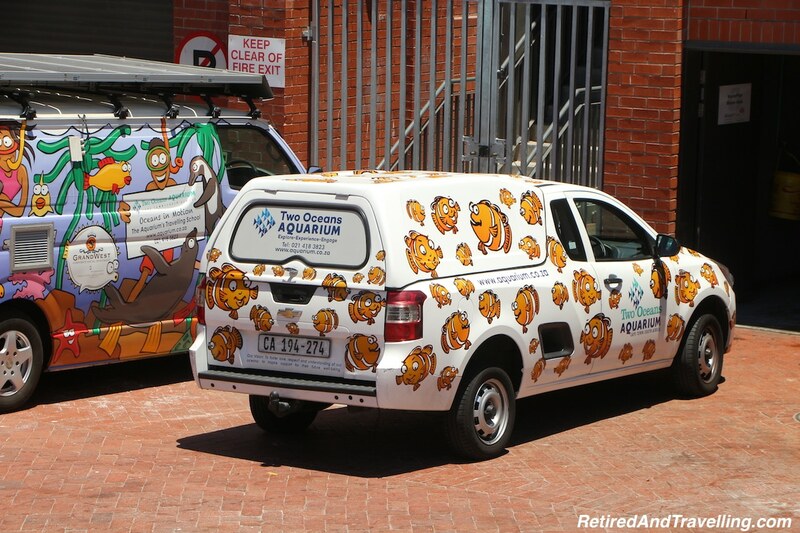 Our second experience in Richards Bay, South Africa also provided us with good animal viewings. 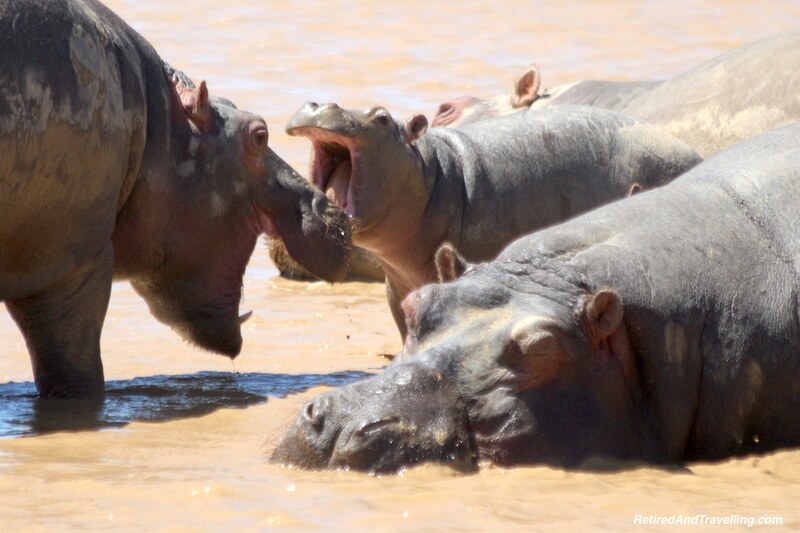 But day trips for game drives are not always so successful. Next time, we will plan a much longer safari so we can experience dawn and dusk with the animals! 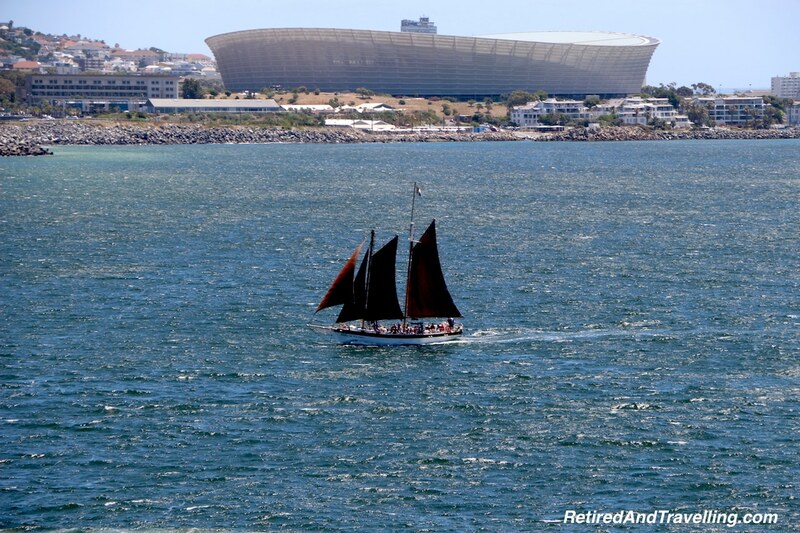 We really loved Cape Town so don’t want to end on a sour note. But I would be remiss if I didn’t offer a word about safety. 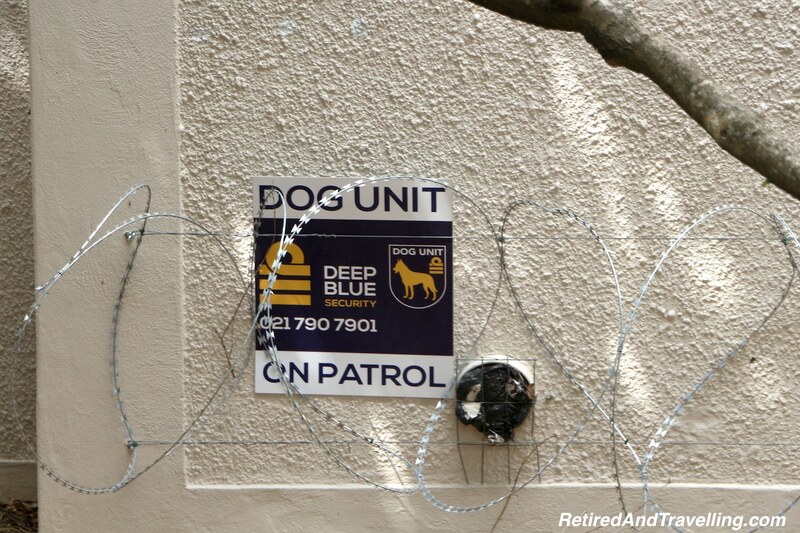 We were told often about the high petty crime rate in Cape Town. Signs were everywhere reminding us to keep our eyes on our property. We saw barbed wire on the top of so many places. When we walked on the Promenade in the middle of the day, a man came up to tell David to watch his camera. 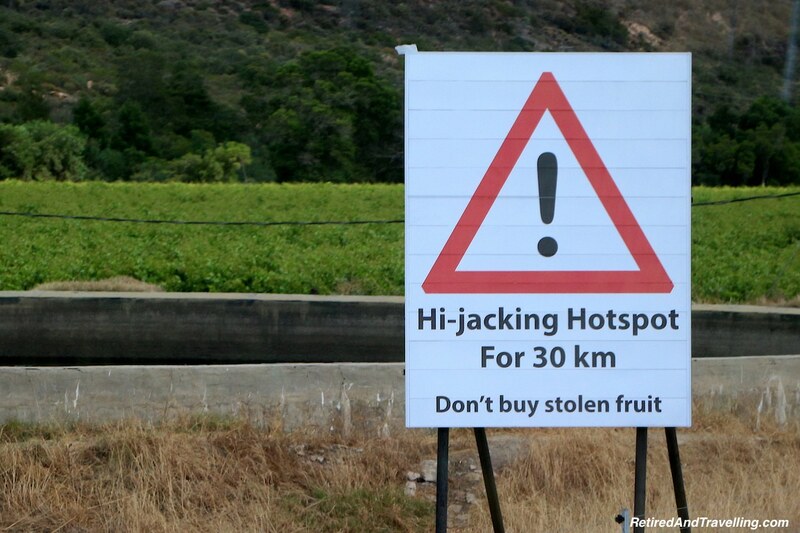 Driving across the mountains to the game reserve for the day, the road had frequent signs warning about hijacking! We are seasoned travellers and are always alert when we travel. After having my purse stolen in Madrid, we are extra wary. In Cape Town we were extra careful. There were many parts of the downtown area where I would not walk after dark. We were often warned to NEVER use the ATMs as certain groups of criminals had very sophisticated methods of deceiving and stealing from unsuspecting tourists. We didn’t let the warnings keep us in our hotel, but we did remember to be alert to our surroundings. There were so many things to do in Cape Town. 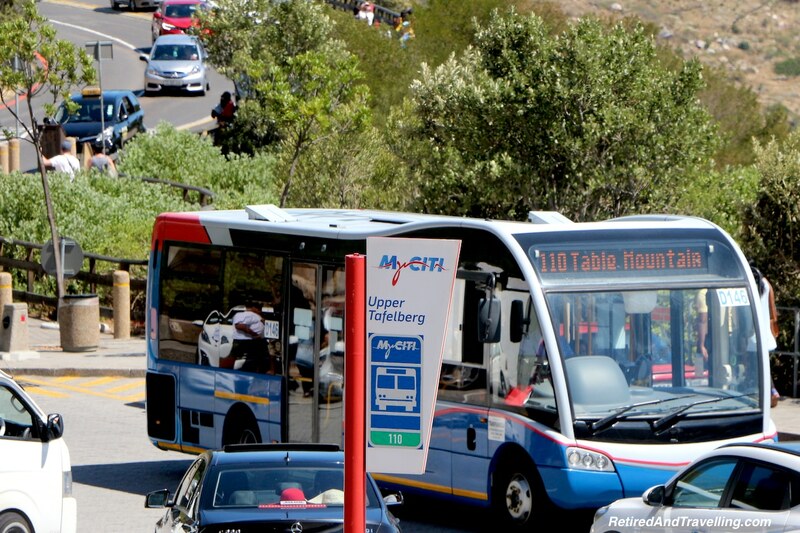 If you are there for a shorter stop, you can keep busy within the city. The HoHo bus was a great way to maximize our time and was a good value. 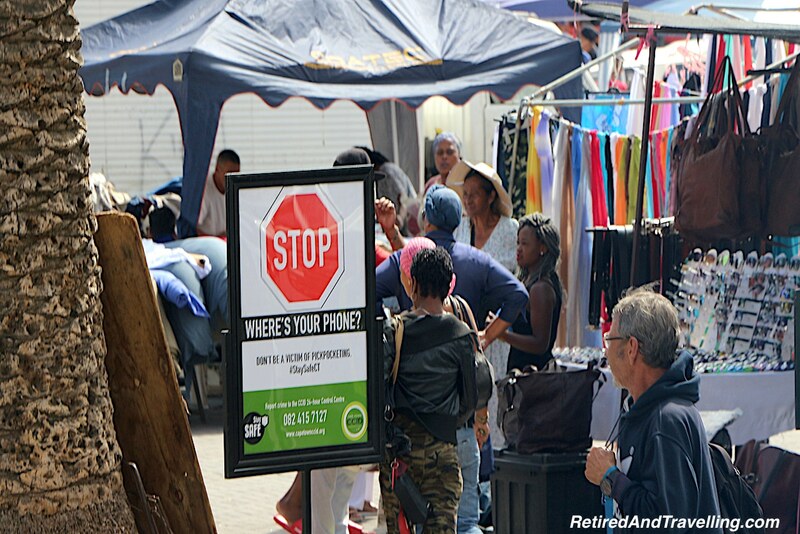 We like to explore cities by foot and Cape Town has much to see in the various neighbourhoods. Bring your walking shoes as it is a quite hilly town! If you are there for a longer stay, don’t miss the chance to explore outside of the city. 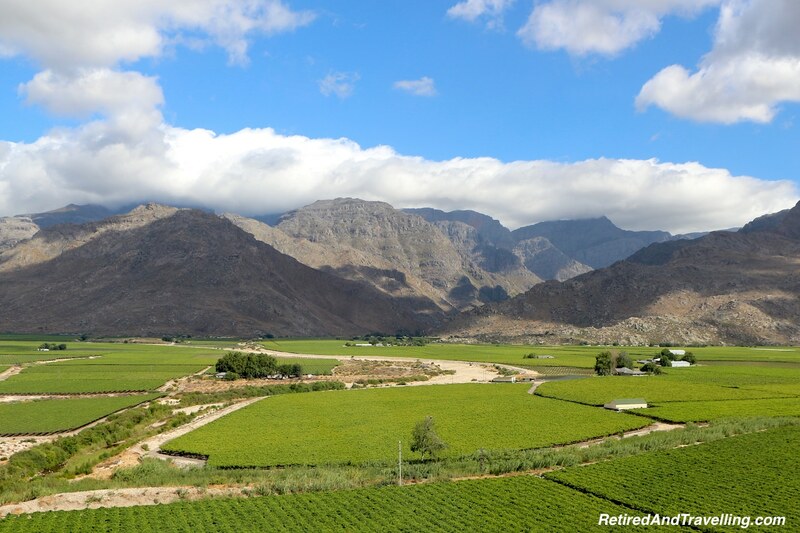 Great scenery, world class wineries and animal adventures are just a few of the things we found further afield. 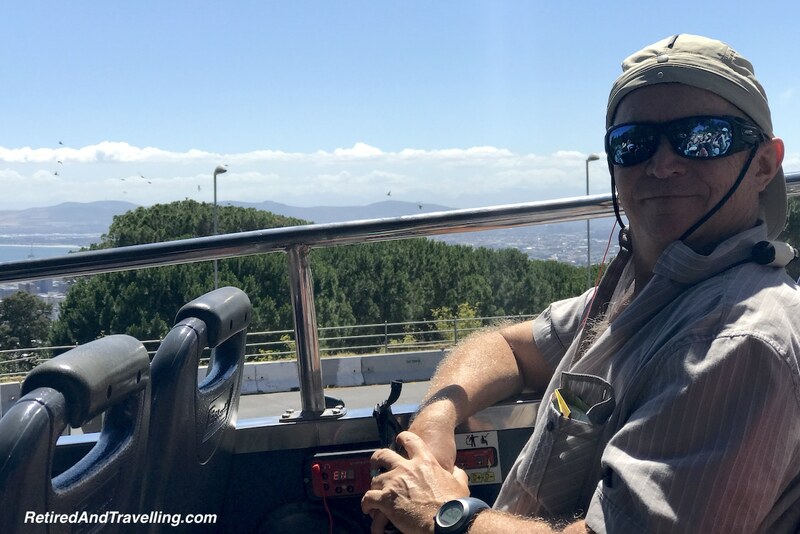 Even with the cautionary note about safety, we liked Cape Town so much more than we expected. 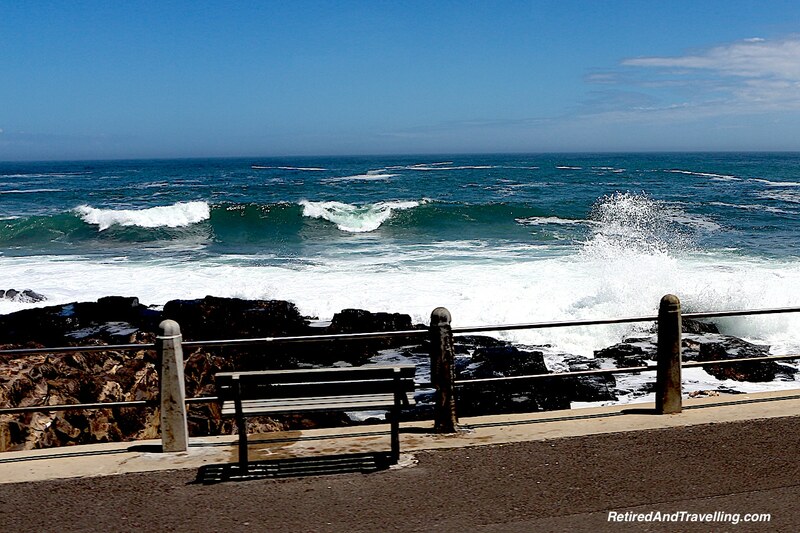 The sea and mountains that surround Cape Town are far more beautiful than pictures can convey! 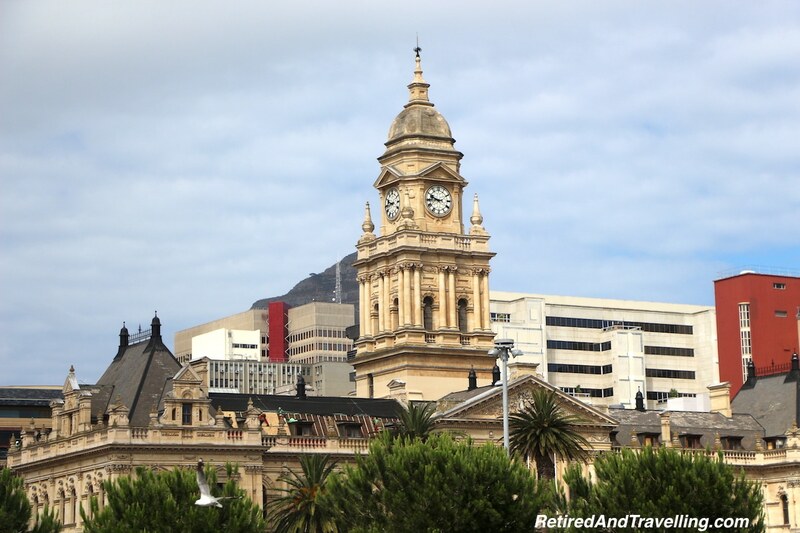 What was your favourite of the things to do in Cape Town? What did we miss that should be on the list? 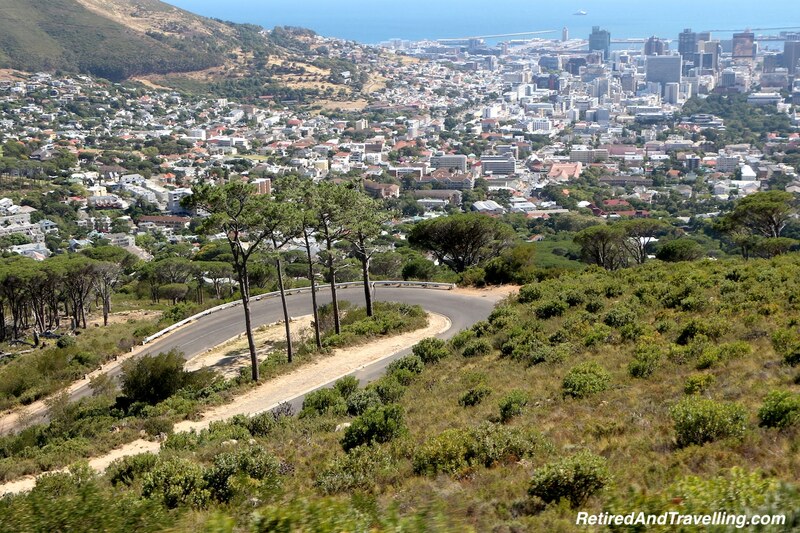 This is an excellent article on Cape Town. I can’t wait to get there myself!! Love all of this information. I have wanted to visit South Africa for a long time. Looks like a wonderful place to visit.